Hydra Cell pumps are recognised as compliant with the requirements of various national and international certification organisations, including those listed below. Wanner offers a full line of ATEX compliant pumps for installations above ground, where an explosive atmosphere is likely to occur. Hydra-Cell ATEX pumps are classified in Group II, Category 2 (Zone I) for both gases and dust. Temperature classification is T4 135°C, permitting a maximum process temperature of 90°C. Contact Wanner International +44 (0) 1252 816847 further details about ATEX compliant pumps. Having demonstrated compliance with the 'Essential Health and Safety Requirements' (EHSR) Wanner is allowed to self certificate and place the CE marking on Hydra-Cell pumps. Wanner International supplies marine pumps that are individually tested & certified by Det Norske Veritas (DNV), an independent maritime Classification Society. The Product Certificates outlines intended service; pump rating (in terms of flow and pressure) and service restrictions while specifying the intended destination vessel. DNV certificated pumps from Wanner are used for a variety of marine applications including pumping and metering light, low sulphur fuels, RFOs (residual fuel oils) seawater, ballast treatments and FGD treatment chemicals. DNV certificated Hydra-Cell diaphragm pumps overcome the problems associated with pumping the light viscosity, low sulphur fuels (as dictated for use in Sulphur Emission Control Areas [SECAs]). Gear pumps and screw pumps lose efficiency when pumping light viscosity liquids and all pumps with dynamic seals have the potential to permit vapour escape or fuel leaks. Like the CE logo, the Declaration of Conformity is one of the common threads throughout all the CE marking directives. It is a confirmation by the manufacturer that the product meets the requirements of the CE Marking Directive and really is compliant. It also allows an enforcement authority to identify who is responsible for a product and what that person claims to have done to CE mark it. A properly issued Declaration of Conformity is always issued by the product's manufacturer (or by the person responsible for selling the product in Europe) and never by a test house or Notified Body. The effect of the Declaration is to identify an individual in the company who can be held responsible if the CE marking on a product turns out to be invalid. Each directive has slightly different requirements for the content of its Declaration. That of Wanner International is in accordance with the Machinery Directive. Wanner International is able to supply Hydra-Cell pumps for marine duties in compliance with the requirements of Lloyd’s Register. Certificates for these pumps, backed by independent Witness Tests, have been issued by LR for duties that include transfer of low-sulphur fuels. LR certificated Hydra-Cell diaphragm pumps overcome difficulties associated with pumping light viscosity oils and other poor lubricants. Supervised by Rosstandart (Federal Agency for Technical Regulation & Metrology), the new TR CU certificate now replaces GOST-R. The new TR CU certificate allows for the safe use of equipment in explosive atmospheres and is mandatory for any electrical equipment that is installed or operated in hazardous or potentially explosive atmospheres in the countries. ISO 9001 is an independent continuing assessment of an organisation’s arrangements for Quality Management. It covers all aspects of administration including the systems in place for purchase and supply, handling enquiries and orders, internal and external communication, maintenance of records and the creation and handling of documents. It also covers the arrangements made for the continual review and improvement of its QM systems. 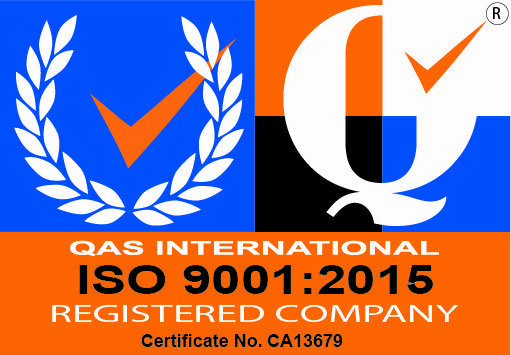 The administration systems of Wanner International Ltd in connection with pumps and associated products have been assessed and approved by the independent body QAS International to the standards laid down under ISO 9001:2015 (the latest version of ISO 9001). ISO 14001 is an internationally accepted standard that brands a business as environmentally responsible, committed to reducing environmental impacts and meeting expectations of sustainability as the business grows. To obtain Certification, Wanner International Ltd has undergone a two-part formal assessment by the independent body QAS International to the standards laid down under ISO 14001:2015. This ensures that the necessary ISO 14001 procedures and controls have been developed by the company and that they are being implemented and working satisfactorily as required. BH OHSAS 18001 is an internationally recognised British Standard: the Occupational Health and Safety Management System and assessment specification developed to assist in the reduction and prevention of accidents and accident-related loss of lives, equipment and time. Certification to BS OHSAS demonstrates the commitment of Wanner International Ltd to a safer working environment and the protection of employees against injury at work. It confirms that the company has been assessed and approved by QAS International in respect of management systems, standards and guidelines compliant with BH OHSAS:18001. The approved administration systems apply to the design, manufacture, assembly and distribution of pumps and associated products. 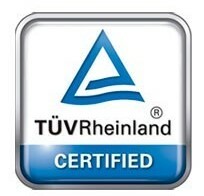 The administration systems of Wanner Engineering in connection with pumps and associated products have been assessed and approved by TUV Rheinland to the standards laid down under ISO 9001:2015 (the latest version of ISO 9001).